WASHINGTON — Lawmakers will face yet another threat of a partial government shutdown when they return to Capitol Hill next week, but this one carries much less significance for military families and veterans than many of the last showdowns. Both Republicans and Democrats have downplayed the possibility of a shutdown in recent days, saying they believe the two sides can agree on final details of seven still unresolved full-year spending deals for federal agencies. Before the mid-term elections, Congress extended their budgets until Dec. 7. President Donald Trump has also signaled optimism about a deal, but last week told reporters at the White House he thought now could be “a good time" for a government shutdown if lawmakers don’t back funding of his plans for a border wall in the southern U.S. states. "If I was ever going to do a shutdown over border security, when you look at the caravans, when you look at the mess, when you look at the people coming in, this would be a very good time to do a shutdown," he said. Trump had objected to immigration issues in the spending bill, but said the military funding included in the measure made it too important to scrap. 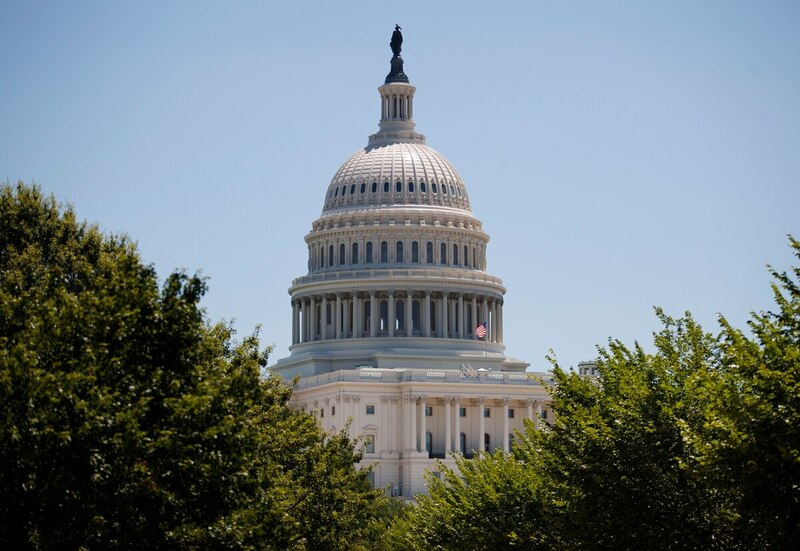 Among the spending bills still to be finalized are those for the Departments of Justice, Commerce, Housing and Urban Development, State and Homeland Security. Missing from that list are the Departments of Defense and Veterans Affairs, because lawmakers finished work on those appropriations measures earlier this year. That means even if the White House and Congress can’t reach an agreement on the outstanding appropriations issues by the Dec. 7 deadline, those budgets will continue unaffected for the rest of the fiscal year. But even though troops’ paychecks and veterans services won’t be affected, another partial government shutdown could have secondary impacts on those groups. A State Department shutdown, for example, could mean troops deployed to allied countries overseas would see some overseas services curtailed, and troops in Afghanistan and other combat areas could see civilian colleagues’ schedules upended by personnel limits. Department facilities would be minimally staffed, and chiefs of mission would decide which personnel are “excepted” from the shutdown because their work is essential to national security. Others would be furloughed. Consulates can remain operational so long as there are sufficient fees to support their operations, according to the most recent shutdown guidelines. In addition, international aid payments to U.S. allies could be stalled while the funding issues are sorted out. Shutting down the Department of Homeland Security could prove problematic for troops deployed along the southern U.S. border. Nearly 6,000 active-duty troops and 2,100 Guardsmen deployed to the region could see border patrol activities cut or canceled in coming weeks, further confusing the role of support forces there. The vast majority of Homeland Security employees will remain on the job if the government shuts down, a department spokesman told CQ during the last budget stalemate. About 90 percent are considered essential staff because of the law enforcement missions of many of its agencies. The Coast Guard operated at 80 percent, but its services to maritime commerce and recreational boating would cease, according to the Bipartisan Policy Center. VA officials work closely with HUD leaders on a host of homeless outreach efforts throughout the year, and a disruption in their funding could mean reducing or temporarily canceling some of those efforts. For now, lawmakers are continuing work to avoid a shutdown. Whether Trump’s comments hurt or help that process remains to be seen.